(3) guarantee basic due process rights for immigrants detained in state and local facilities. Nothing in this amendment offers protection, immunity or “sanctuary” to criminals. In fact, the amendment neither declares Massachusetts a “sanctuary” state nor does the word “sanctuary” appear anywhere in the amendment’s language. Furthermore, nothing in this amendment prohibits law enforcement from arresting an individual (citizen or not) who commits a crime. Finally, and also contrary to what has been stated by some, the language does not prohibit state law enforcement officials from honoring detainer requests from ICE, which is currently the law and has been since the 2017 Lunn v. Commonwealth decision. 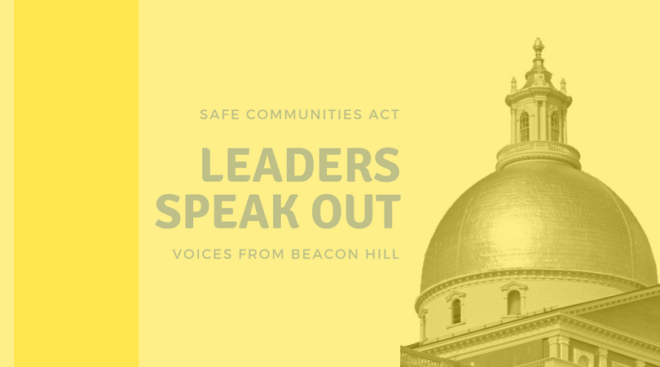 To learn more about the Safe Communities Act, what it does, and what it DOES NOT do, please visit Massachusetts Immigrant and Refugee Advocacy Coalition (MIRA)’s website: miracoalition.org/safe-communities. In addition, if you are interested in reading the amendment language, you can view the full text at the following link: https://malegislature.gov/Bills/GetAmendmentContent/190/S4/1147/Senate/Content.